Product prices and availability are accurate as of 2019-04-18 22:01:04 UTC and are subject to change. Any price and availability information displayed on http://www.amazon.com/ at the time of purchase will apply to the purchase of this product. 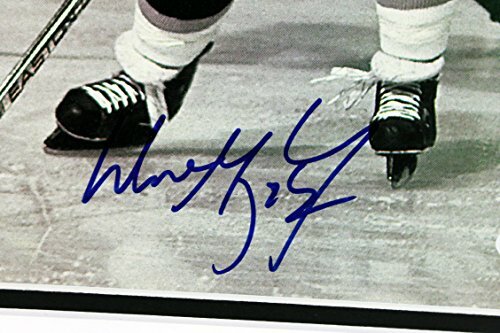 This Autographed Magazine Page Matted has been Personally Signed by Wayne Gretzky of the Los Angeles Kings. This item is 100% Authentic and comes with a PSA/DNA Certification Card and a matching numbered Hologram.The authenticity can be verified on Professional Sports Authenticator website. This item has been matted to an overall dimension of 12x16 inches. 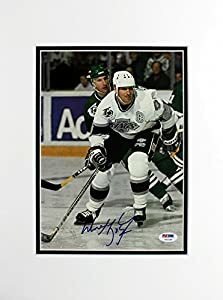 Press Pass Collectibles only offers Authentic Autographs by Wayne Gretzky through Signings, In-Person Signings or Private Collections to include a 100% money back Lifetime Authenticity Guarantee.